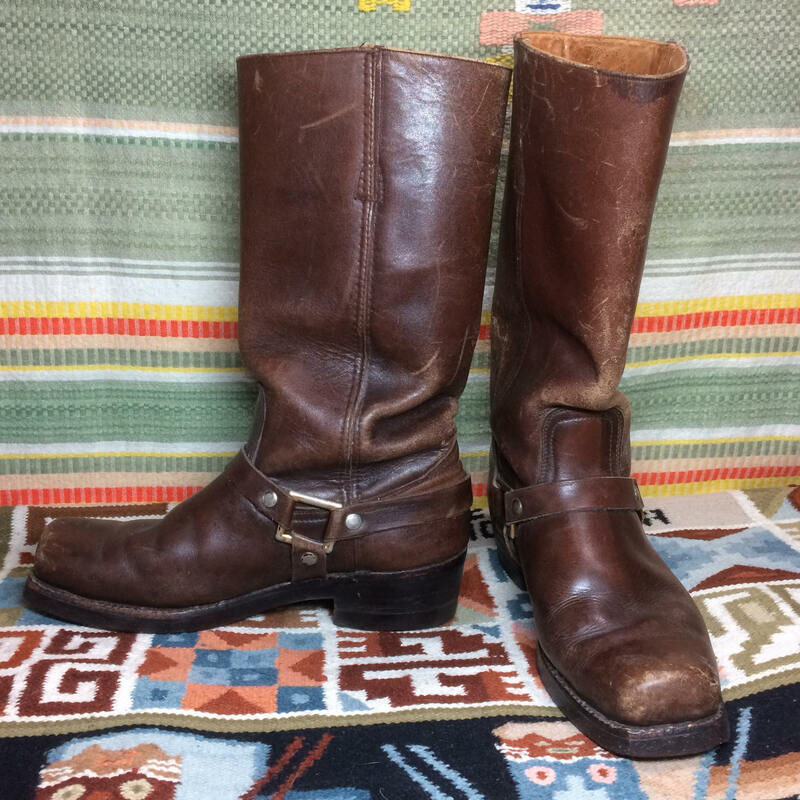 Here's a pair of soft leather boots from the 1960's. They feel like high quality leather with Cat's Paw heels. 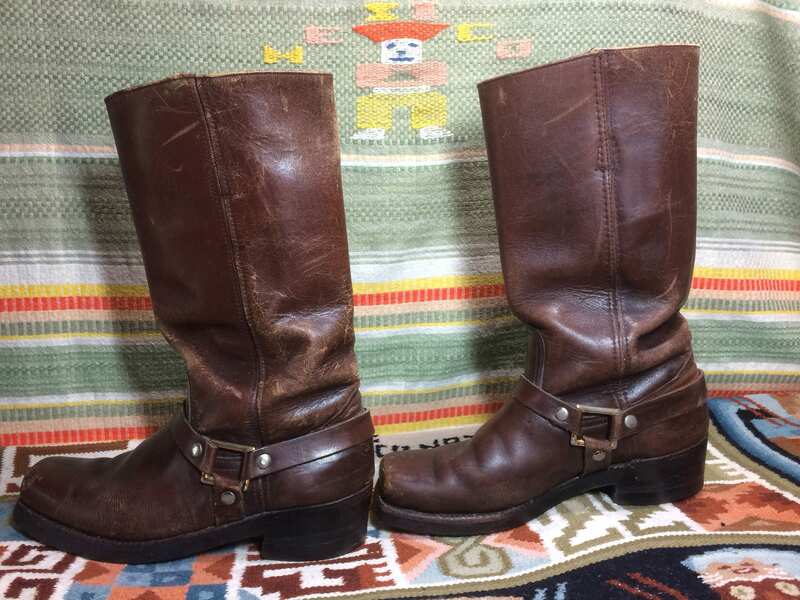 There's a small tear by each of the side seams at the top of the left boot. 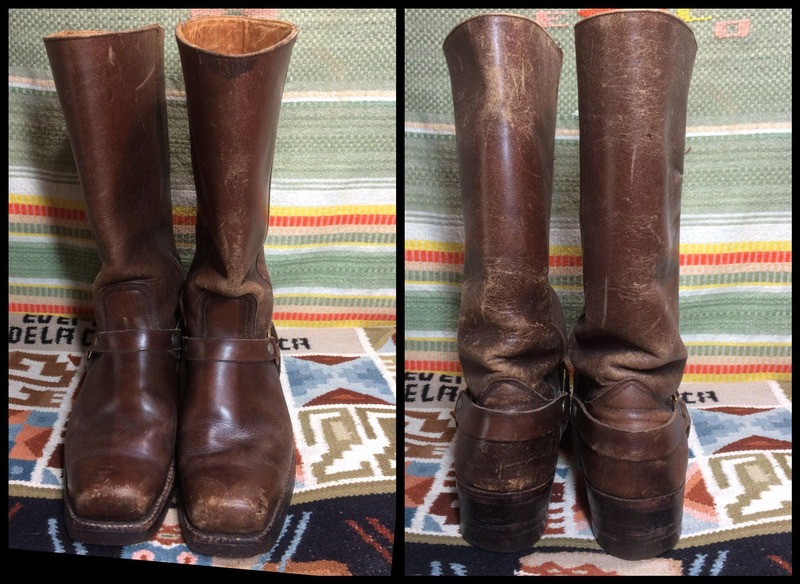 There's some discolor at the top of the left boot and one of the interior pull straps is broken. 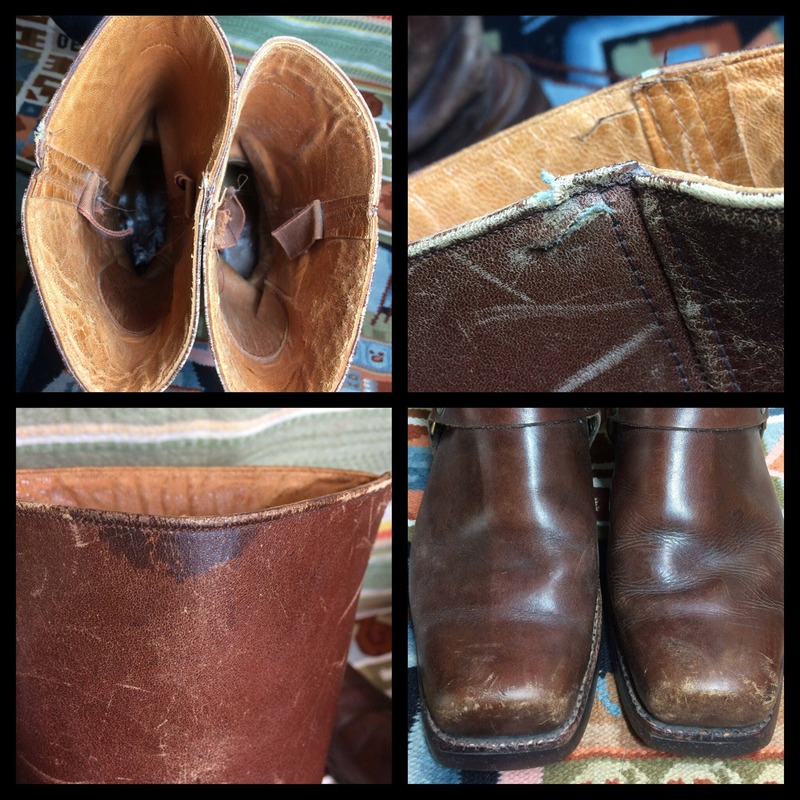 There's scuffs and dirt from normal wear. 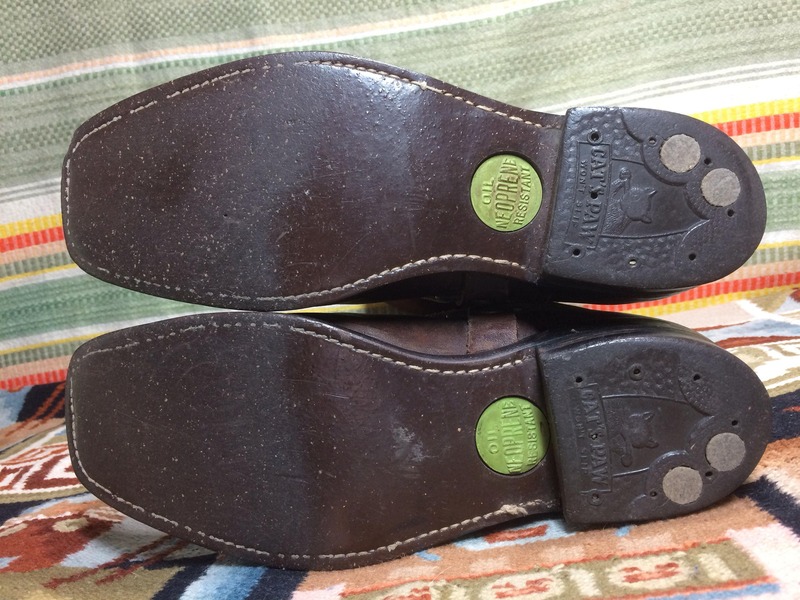 Otherwise they're in excellent, very used condition, with great patina.